Backpacks are a great way for kids to carry all the essential items they need for a busy school day. But between books, homework, gym clothes and lunch, the load can get heavy pretty quickly. Many parents often wonder whether carrying a heavy backpack can lead to spinal problems, such as scoliosis. 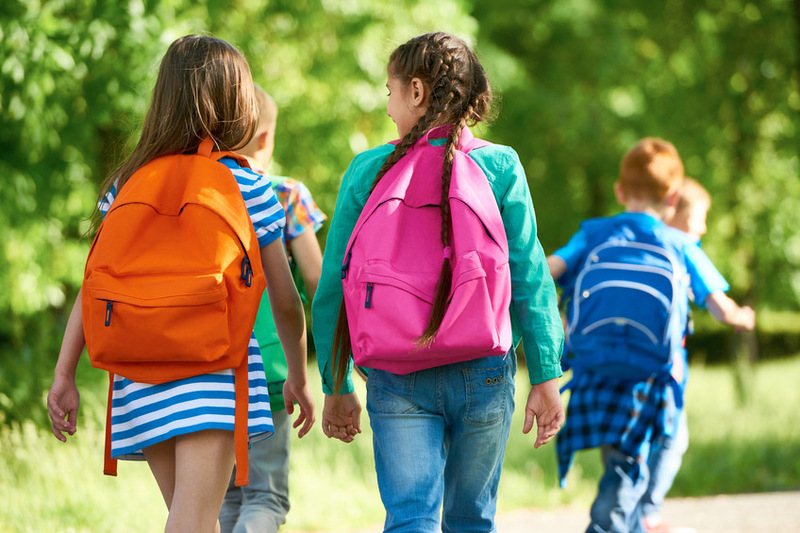 While backpacks may not cause serious back problems, they can contribute to back, neck and shoulder pain, especially if a child is carrying too much weight for his size or the weight isn’t evenly distributed across his back. Kids who have more sedentary lifestyles may be at increased risk for muscular pain because they aren’t routinely moving or stretching large muscle groups in their bodies. An overweight backpack also can lead to poor posture or affect the way a child walks, putting her at increased risk of losing her balance and falling, especially on stairs or while boarding the bus. However, backpacks are very handy and until we reach the point where textbooks are completely obsolete and e-books are in every school district, they’ll continue to help kids stay organized and carry the items they need at school. 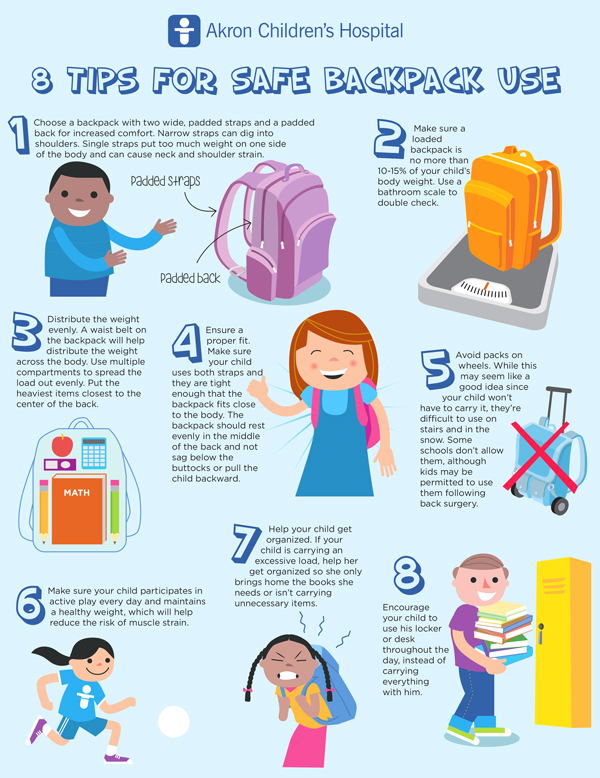 If your child experiences back, shoulder or neck pain that doesn’t improve by following these steps, her backpack may not be the problem.